BERGENFIELD, N.J. -- Judah Mantell has already finished 75 percent of the development on a video game and is crowdfunding further costs -- and he's only a sophomore at the Frisch School, in Paramus. 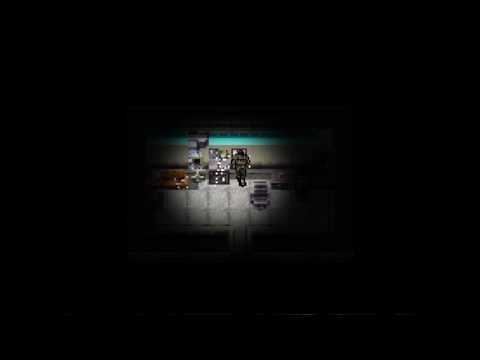 Judah's game "Roswell" is an adventure RPG -- that's "role-playing game" for the uninitiated -- with an old-school pixelated look, for both the characters and backgrounds. In the wake of the Second World War, Henry Fern, a skeptical government-hired janitor, stumbles upon a secret that has been kept to this day. Through experiments and odd occurrences, he discovers the repressed memories of his deleted past and a secret government plot that has been following him since the beginning of his career. The game's plot and endings vary, based on your choices as you progress. The puzzle-based game is particularly innovative in that players can choose more or less violent approaches. "I think it's a unique gameplay style," Judah told Daily Voice. The retro look may also be intriguing for modern players, who are used to a slicker look. He decided to try making his own game perhaps two years ago. He doesn't know anyone who develops games; he just decided to try his hand at it. As the project has progressed, he's spent time trying out different styles of gameplay and art, and honing smaller details. The teen, who will be 16 in December, showed a maturity about the process, as well: "Certain things can be frustrating -- like a bug that ruins the whole game -- but as you get things worked out, it's very satisfying to be able to do that." As for choosing the infamous, nigh-mythical Roswell as the game's subject, "It's always something I've been interested in," Judah said. And yes, he's watched "The X-Files," and yes, he's read "Choose Your Own Adventure" books. Judah was also recently interviewed on the "Crowdfunding Cast" podcast, which you can listen to here. The teen is hoping to fund both marketing costs and costs to publish the game on an online platform through the crowdfunding site Indiegogo. His campaign is 78 percent funded, as of Wednesday night. It has a fixed goal, meaning that if the target isn't met on time, he doesn't get any of the pledged funds. The deadline is now 20 days away. Like the crowdfunding site Kickstarter, backers aren't just making charitable donations. They receive project-related incentives, like customized T-shirts and copies of the final product. For "Roswell," among other items, the incentives include copies of the game and even, at the uppermost tier, having a character named after you. Only two such characters are available. Check out Judah's game here -- and perhaps decide to become a backer, yourself. Tova Ross also contributed to this story. See more of Tova Ross's contributions.